Mayor spearheads drive to clean up historic town, as Jamaica’s Observer reports. THE Trelawny Parish Council has undertaken a massive clean-up and beautification programme in Falmouth, as the local authority moves to improve the aesthetics of the historic Georgian town, and to make it more appealing to visitors and residents. The initiative is being spearheaded by Mayor of Falmouth Garth Wilkinson, who has vowed to make Falmouth the cleanest and most beautiful town in the island. “ If it is two things that I want to be known for, it is for the person who has made Falmouth the cleanest town in the country, and as the man who has brought some law and order to Falmouth,” Wilkinson told the Jamaica Observer West. Now serving his third term as councillor for the Falmouth Division, Wilkinson was elected chairman of the Trelawny Parish Council and mayor of the town, just over a year ago. On Monday he told the Observer West that the cleanup programme includes the cleaning of drains and the beautification of all the streets. “We have stepped up our maintenance programme and so we now have employed about 25 persons to maintain the streets in Falmouth, and this includes the cleaning of all the drains,” Wilkinson explained. The maintenance programme, he said, is costing the council roughly $760,000 monthly. Mayor Wilkinson further noted that within the next few months, a team of litter wardens will be deployed in the town. The wardens, he stressed, will be working along with the Island Special Constabulary Force (ISCF) to maintain law and order. The multi million-dollar programme is being undertaken in the wake of persistent calls by the Trelawny business community for Mayor Wilkinson to address the lack of civic pride in the town, and to address complaints by cruise passengers who call at the Falmouth port, about the filthy state of some of the streets. 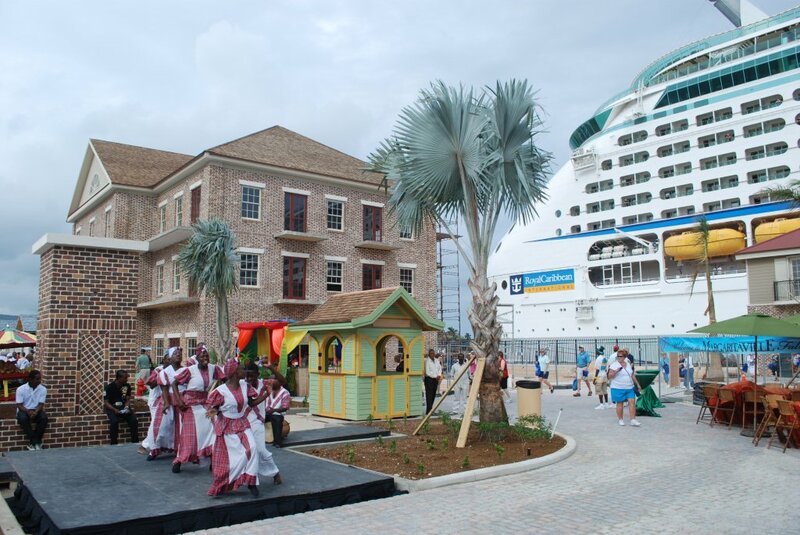 Cruise passengers have also called for measures to be implemented to reduce harassment of visitors to the historic town. Last year just over 130 cruise ships called at the port — which opened a little over two years ago — carrying more than 545,000 passengers. It is not clear, however, how many of those passengers actually disembark the vessels on arrival, but some stakeholders believe that scores of passengers are reluctant to disembark, because of harassment and the unsightly state of sections of the town. Yesterday, Dennis Seivwright, a former president of the Trelawny Chamber of Commerce and Industry, told the Observer West that despite the efforts of Mayor Wilkinson, much more needs to be done to make the town clean. “The town is still dirty. What we really need is not parish council employees going out there to clean up garbage. What you need is a contractor who has a terms of reference. He will know that once the town is not cleaned he will lose his contract and so he will have his uniformed staff out there meticulously taking up every scrap of paper off the street… but once you have someone who is directly paid by the parish council, he can lean on a broom and do little or nothing…” Seivwright explained. The former chamber president and prominent Trelawny businessman, also called for Mayor Wilkinson to engage Falmouth residents and other stakeholders in a series of community fora, in an effort to get them to buy into the vision for the town. “He needs to have more community meetings so that people understand why they should keep the town clean and behave in an orderly manner, and for them to stop believing that people are fighting against them,” Seivwright stressed. He added that efforts should also be made to prevent handcart vendors from occupying sections of the town’s square. “In the evening there are a lot of hand carts which block sections of the town, preventing people from even finding place to walk. This goes to show that there is no control,” he argued. Seivwright who served as president of the chamber from 2004 to 2009, added that the council must also get owners of business places to adopt the spaces in their locale. “These owners should be given an incentive for doing so, as they would now be responsible for keeping their surroundings clean,” he argued.